New officer signing bonus: New officers with no experience will receive $2,500.00 bonus upon completion of field training. 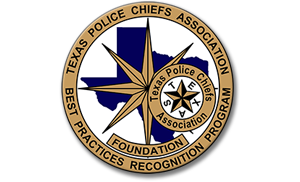 New officers who hold a current TCOLE Peace Officer Certification will receive a $3,500.00 bonus upon completion of field training. Click here to learn about the Police Department’s benefits, qualifications and salary range. Are You Ready to Join Us? Apply Now! Welcome. 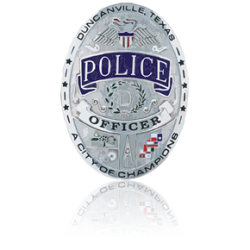 The Duncanville Police Department provides 24-hour emergency services, criminal investigations, traffic enforcement and crime prevention through use of the community policing philosophy. 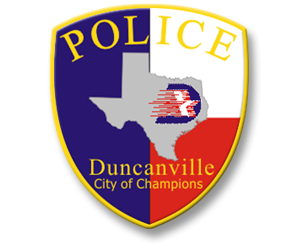 The Duncanville Police Department, in collaboration with the Cedar Hill and Desoto Police Departments, has launched a website which provides citizens with the opportunity to view dispatched calls, map crime within a specified radius of a search address, and search for specific incidents. In addition to real-time crime statistics, citizens can view recent arrests and jail status, obtain “Most Wanted” and “Missing Persons” information, and submit non-emergency incident reports. Error: Error validating access token: Session has expired on Saturday, 09-Feb-19 14:28:37 PST. The current time is Friday, 26-Apr-19 05:47:55 PDT.